you to Leslie and her pretty amazing blog. HELLLLOOOOO Just Another Day in Paradise followers! I am so excited to be swapping with Larissa today! Don't you just think she is so cute and has tons of FABULOUS ideas? I hope you will come and link up to both parties! 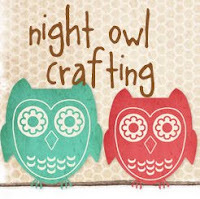 I also am looking for more AMAZING blogs like Becky's to blog swap with me! Today I would like to share with you some of my favorite projects I have done! Starting off is my changing pad and it even has a tutorial! 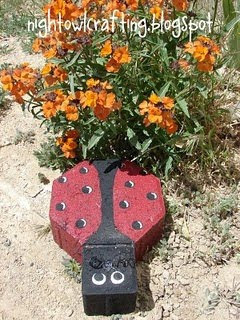 Check out these lady bug pavers! They are so fun and easy to make! 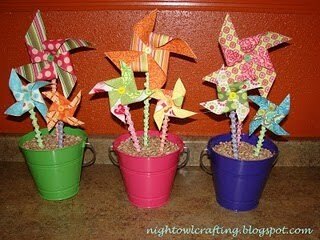 I had so much fun making these adorable fabric pinwheels! 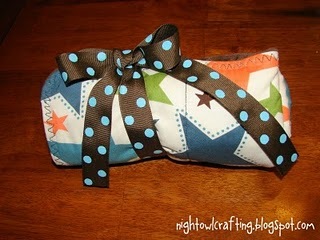 My most favorite recent project that I am in love with I copied from another blog, yes she knows! 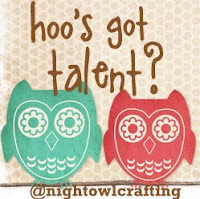 Check it out on my bandanna tablecloth post! 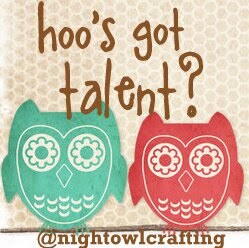 I have so many more cute projects that you should come and check out over at Night Owl Crafting and please come join my link parties! 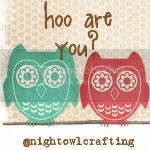 I love meeting new HOOTS! Thanks Larissa for letting me take over your FANTASTIC blog today! I had a HOOOOT of a time! Thanks Leslie! I Love that tablecloth, don't you? What a fun idea for a party. Have a great day everyone. See you tomorrow for a super yummy recipe.